The Music Manual: "If you tried to give rock and roll another name, you might call it Chuck Berry"
"If you tried to give rock and roll another name, you might call it Chuck Berry"
THERE is no denying the world is quickly losing its remaining music heroes. Chuck Berry, well, he was like no other. Starting his career after a stint in jail for armed robbery after targeting three shops in Kansas City, Missouri before stealing a car at gunpoint in 1944 he was sent to the Intermediate Reformatory for Young Men at Algoa and formed a singing quartet. After spending three years inside, he was released on his 21st birthday. Married and a dad by 1950, he took up various jobs around St. Louis, working as a factory worker and caretaker before training as a beautician. 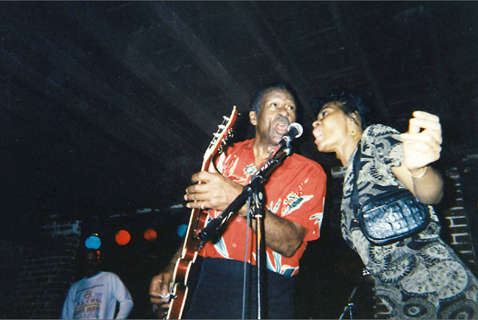 In the fifties, he started working with bands, playing blues since his teens Chuck joined Johnnie Johnson's trio playing ballads and deep southern blues. It was then when he met Muddy Waters in Chicago and struck up a relationship. Signing to Chess Records he adapted country track, Ida Red and made Maybellene - it sold more than a million copies. Hit after hit, Chuck had the gift of an era, everyone wanted a bit of it, tracks kept coming such as Roll Over Beethoven, Rock and Roll Music, Sweet Little Sixteen and Johnny B Goode. John Lennon once said: "If you tried to give rock and roll another name, you might call it Chuck Berry." By the late fifties he was a star with several hit records to his name but it all came to a halt when he was sent to prison again and was released in 1963. There were many times when Chuck's image was tarnished but one thing remained the same. He was a really good guitar player and an excellent hit maker. Receiving numerous awards including the Grammy Lifetime Achievement Award and induction into the Rock and Roll Hall of Fame nothing really phased him. Following his death, his family released this statement: "Since Chuck’s passing on Saturday, the Berry family has received many inquiries from friends, fans and media about the status of his forthcoming album CHUCK, which was originally announced on his 90th birthday, October 18, 2016. "Working to prepare the release of this record in recent months and in fact over the last several years brought Chuck a great sense of joy and satisfaction. While our hearts are very heavy at this time, we know that Chuck had no greater wish than to see this album released to the world, and we know of no better way to celebrate and remember his 90 years of life than through his music. "For months now plans have been in place, and preparations have been made with our friends at Dualtone Records, to reveal further details and music from the album this week. As a tribute to Chuck Berry, and with gratitude to his fans around the world, we will be following through on those plans in the coming days." On March 18, Chuck was found dead at his home, taking rock'n'roll with him.